No matter how busy you're but you'll use WhatsApp since it's the best alternative to SMS. It's a cool platform to have fun by doing video calling and surfing your friend's status messages. If you're a social person, you'll surely participate in WhatsApp group chat. WhatsApp group is a wonderful place for users to interact with their friends, colleagues, and family. One can join unlimited WhatsApp groups through invitation links or you can be added by group admins. Some WhatsApp groups are very active while some groups are dead. So, you'll leave the abandoned group. No one will be going to add you into the inactive group. If you wish, you'll leave the active WhatsApp group for any reason. After some time, your friends or family members may drag you again into the group. 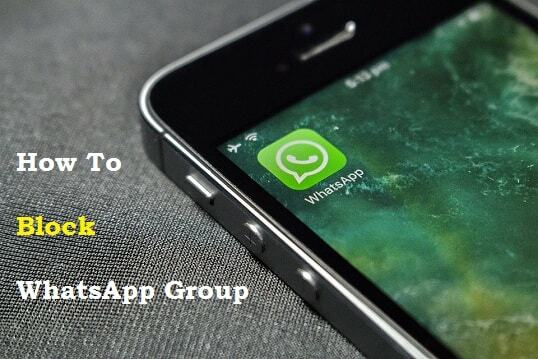 WhatsApp group admins can add you to their group if they know your mobile number. If you're ok with participating in the group but don't want to receive notification, you can mute the group. Long press on the Group name from the chats list > Tap the 'Mute Speaker' symbol. You can mute the group for as long as 1 year. Even if you archive the WhatsApp group, it will come to the top if there is a chat activity. Since you can't block group texts, it's a temporary solution only. If any stranger comes to know your mobile number, he can add you to the unwanted group without your permission. Once they add your number to an unknown group, anyone can abuse your number. It's a major privacy concern and a worst-case scenario, especially for women. Here's the solution for you! Now you can Block WhatsApp group! 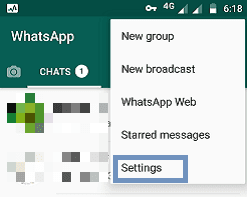 In this guide, you'll learn how to block WhatsApp group permanently. Therefore, no one can add you to a WhatsApp group without your permission. It's the best privacy feature introduced by WhatsApp. There are 2 methods available to prevent yourself from adding into a WhatsApp group. 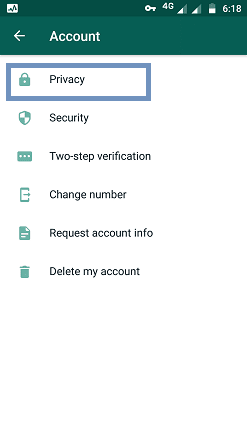 Method 2: WhatsApp Group Privacy Settings. 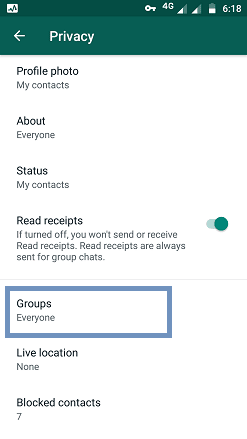 If you'd like to block the specific WhatsApp group from adding you, you should block the admin of the group. If the group has multiple admins, you've to block everyone individually. Launch WhatsApp on your mobile. Tap on Group you want to exit. Find the admins of the group. Hit the Block button and confirm. Note: When someone becomes the new admin of the group, they can send you an invitation link to join the group. Tap 3 Vertical dots next to the search icon. 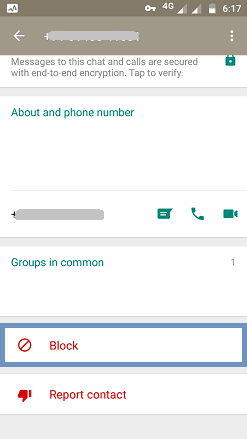 Here, you could choose who can add you to WhatsApp groups. You'll find 3 options. 1. Everyone - Anyone with admin rights can add you to the WhatsApp group. 2. My contacts - Person in your phone contacts can you to a group. 3. Nobody - It blocks group adds in WhatsApp. 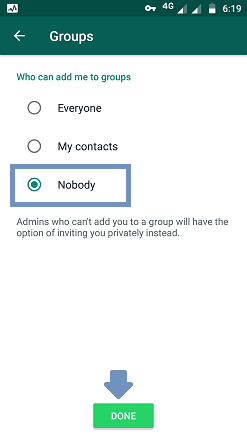 Note: If you don't block any admin of WhatsApp group, they still have the option of inviting you privately. Blocking the WhatsApp group from adding you is the must option for all users. 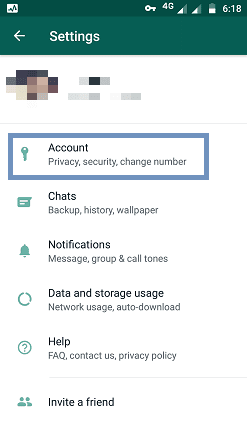 To protect your privacy, you can leverage this option given in WhatsApp settings. I hope this helps. Liked this guide? Please share and subscribe!